This is an article I wrote with my friend Scott on my favorite place to be, The Bullocks Permaculture Homestead. 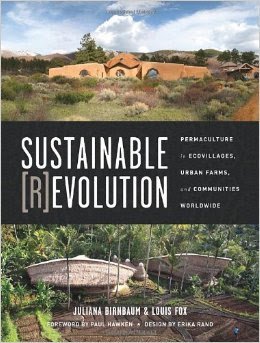 The article was for a crowdsourced book called Sustainable (R)evolution (click to check out this amazing project!). 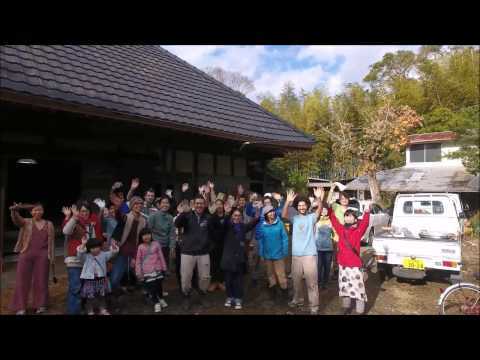 I also wrote articles on the City Repair movement in Portland, the ecofarm movement in Thailand, a brief overview of the natural farming movement in Japan, and on chinampas. 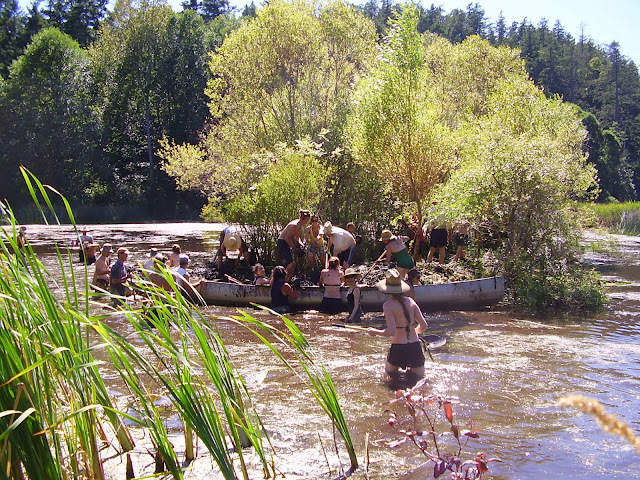 Through a combination of acute observation skills, passion for homesteading, love of hard work, and a stream of helpers, the Bullock’s Permaculture Homestead (BPH) functions as a home to the Bullock family, a thriving nursery, and a training site for skilled and inspired international permaculture practitioners. From the extensive utilization of “waste”, to the homestead culture of joking, love of food, and generosity, there is much that can be learned about living sustainably at the site. BPH is located on Orcas Island, part of the San Juan Archipelago, which lies in the rain-shadow of the Olympic Mountains and sits near the northernmost extension of a cool maritime/ mediterranean climate zone. The property features a variety of preexisting microclimates and soil types, rocky dry south-facing hillsides, a marsh and a wet valley bottom. Since acquiring the original five acres in 1982 and an additional five acres a few years later, the Bullocks have transformed this piece of land from one dominated by briars across much of the arable land into an innovative, productive and verdant paradise. Instead of thinking about energy solely in terms of amps and watts, the Bullocks take a permaculture approach that broadens the conventional definition to include ‘energy flows,’ feedback loops, human and animal labor and other various forms utilized through the organization of overlapping systems. Recognizing that the cheapest form of energy comes from tasks being built into the natural flow of the property, feeding the chickens or going out to pick a favorite fruit becomes an opportunity to stack functions. While the larger goal might be eating a delicious peach or plum, along the way they are able to actively engage with their system. By doing this, they are able to achieve greater efficiency because their system continues to be finely tuned. Animals incorporated into the farm ecology increase the fertility of the soil, keep vegetation in check and limit pests. The Bullocks consider these energies to be vital to developing closed-loop cycles because they translate into an overall reduction of inputs needed from more traditional methods such as tractors to move manure. As for heating and electricity generation, the site is mainly solar-powered and wood-heated, with a small amount of energy coming from the grid. Electricity for domestic use and agricultural water pumping is generated by a few large solar arrays. A small generator is used when electricity is needed remotely. Water is stored in the landscape in as many locations as available, convenient and as high in elevation as possible in tanks and ponds. These reservoirs are fed using photovoltaic pumps with a gasoline-powered pump serving as backup if needed. Water stored high in the landscape acts like a battery, both by feeding water into the system when the sun isn’t shining and as an emergency source in the event of a fire. The distribution of water through piping from source to storage is divided regionally, partially to protect against total system failure in the event of a leak, but also because the nature of scavenging for equipment has led them to use smaller pumps common in the early part of this century. These pumps have lower power, but they match well with the “array direct” format of water pumping used on the property. These regional systems are linked by valves, so water can be fed from one to another when needed. The greenhouse at the BPH is an instructive example of how energy can be generated and stored creatively through a stacking of functions. During the winter, residents use the greenhouse as their kitchen, dining/living room, workshop, shower, propagation space, etc. Cooking, activity and the wood stove provide heat. The wood stove, while heating the greenhouse itself, also can heat an attached sauna which doubles as a food dehydration room. A wood-fired water heater is used for needs in the kitchen and for showers (solar showers are used in the warmer months). Propane and wood are mainly used for cooking although the Bullocks have been experimenting with rocket stoves and gasification stoves in an attempt to cook with local fuel. Although originally intended as a private home for the Bullocks family, the homestead has evolved into an educational space with regular visitors, a ‘skill builder’ program and two regular courses each year. Visitors are welcome most weeks of the growing season to experience permaculture living along with the skill builders. Each year the seven-month skill builder program hosts twelve participants, who learn gardening, composting, grafting, plumbing, building, welding, teaching, and communal living. Each skill builder is assigned several garden beds, which provides them an opportunity for them to experiment with, for example, chicken tractors, natural farming, and vegetable varieties. As education is usually associated with the work needs of the homestead, skill builders learn by doing. An intensive three-week design course, taught by a team of highly experienced permaculture instructors, focuses on the fundamentals of permaculture, systems thinking, and integrated living, with shorter sessions, often led by visiting practitioners, on animal tracking, permaculture in public schools, urban and social permaculture among others. When making decisions, the Bullocks brainstorm about all of their possible needs, stacking as many functions as possible into each new component of their system. This is reflected in the structures built on the property, complete with food storage, propagation areas, and passive solar heating. In replacing the failing foundation of one existing home on the land, they took advantage of the opportunity and constructed a bedrock-cooled root and wine cellar. A variety of natural building styles are employed on the property including one home built with salvaged lumber, insulated with light-straw clay walls, and finished with natural plasters. The small houses are designed to be energy-efficient through the use of wood-fired stoves, insulation and double-paned windows oriented towards the winter sun. During the warmer months, with long days and mediterranean-style, temperate dry weather, most aspects of life can be conducted outside. Through the use of open-air structures, the Bullocks adjust living arrangements according to the seasons, as they have distinct warm dry and cold rainy months. In the summer, the family and skill builders set up outdoor kitchens and a tipi-style gathering space called the Aloha Lodge, where meetings, meals, and lectures take place. Permanent structures, built for year round residents, are designed small to contain heat and conserve resources, while the simple summer structures are roofed and open-air to maximize comfort. Food is considered a central element of the Bullocks Permaculture Homestead and much thought and enjoyment is put into every part of the process: planting, harvesting, preparation, consumption, and waste. 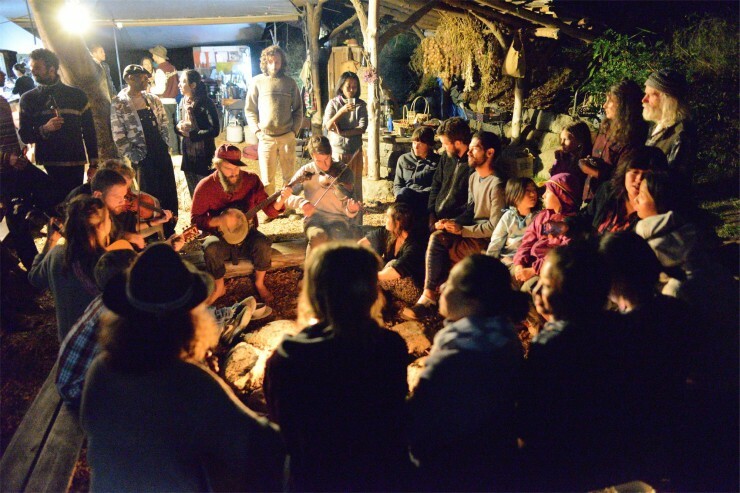 The Bullocks take the permaculture principle “Share the Surplus” to heart by hosting frequent large meals with the skill builders and weekly potlucks for the surrounding community. Skill builders operate on a schedule where they each take part in cooking for the rest of the group. Although the homestead is not self-sufficient in terms of food, it is full of many practical examples for food security and serves as a “plant bank” for their region. The Bullocks are passionate about fruit and nut trees and have a diverse collection of edible, medicinal, and special-interest trees. Since the property sits in a rain shadow creating slightly drier conditions than most of western Washington, they are able to grow a wide range of plants, some requiring maximum heat exposure and others needing a moderated position. Their careful study of the land allows them to isolate tiny microclimates that are only warm enough to work for a certain species. Their plantings consist of hundreds of food-producing shrubs, vines, trees and perennials from around the world and include multiple varieties of popular species. For instance, several dozen varieties of apples and plums serve to lengthen the harvest season, bolster resistance to pests and diseases, diversify uses (e.g. preserving, cooking), and enhance snacking experiences. Extensive use of grafting allows for quicker harvests and other desirable properties. Malus fusca, commonly known as Pacific crabapple, grows like a weed on the property and the fruit is usually unappealing. Since these trees thrive in the area and have established root systems, the Bullocks have utilized them by grafting these trees with tastier varieties of apples, and can sometimes enjoy the new fruits the following year. They also have experimented with intergenus grafts, a technique by which a twig of one genus is grafted onto a different genus’ rootstock. For example, tasty pear varieties are grafted onto the tops of the prevalent hawthorn, which has the advantage of being deer-resistant and not requiring irrigation, planting or fencing. While planting trees for current and future generations of people, the Bullocks are also providing habitat for animals. Brush and stone piles and small zones are left wild throughout the property to create habitat for the snakes and lizards that work to keep pest populations down. The birds have the abundant fruit trees and shrubs (local birds prefer smaller fruits) to snack on in the early summer. With nut trees continuously being planted around the property the Bullocks have also seen a large rise in the squirrel population; they are trying to come up with a solution to this problem. The marsh, used by previous owners for cattle grazing and growing potatoes, is now teeming with life, and is a popular spot for bald eagles and blue herons. Chinampas (see p. x) , which were developed originally by the Aztecs, have been adopted by the Bullocks and constructed in the marsh and along the bank from prunings and excavated soil to create productive islands that further increase the biological activity of the marsh. The continued success of BPH is due to the spirit of observation, experimentation and accepting feedback infused into the culture of the farm. Novel approaches are constantly being tried— some fail horribly and some succeed dramatically. The Bullocks make an effort to incorporate new ideas on the homestead, with innovation often coming from combinations of seemingly disparate elements.